The San Francisco-based Munchery meal delivery has recently expanded its delivery area and thus delighted many fans of its delicious chef-prepared meals and convenient meal kits. Everything seemed to be going well for this healthy meal delivery service, with its popularity growing along with its delivery map. 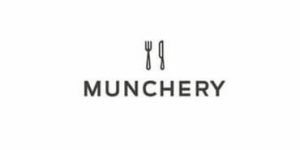 Still, a few days ago (May 11, 2018), its CEO James Beriker announced Munchery is about to close down all operations except for the original San Francisco office. The news is both surprising and saddening. Here is the story behind the tough decision. In the past, Munchery invested most of its efforts and funds into growth and expansion at the expense of profitability. It opened up offices in Seattle, New York, and LA in just several years, with the desire to make its meals available to as many customers as possible. Now, after carefully evaluating the situation, its CEO realized that in order for the company to remain profitable, some radical moves needed to be made. Cutting back on its costs, Munchery is shutting down its Seattle, NY, and LA operations and focusing on growing its San Francisco business. The company plans on developing its shipping capabilities in order to be able to efficiently distribute its meals across various regions of the US and is actively working on improving its technology platform. Munchery’s current goal is to build long-term, sustainable success and we honestly hope the company will achieve its aim and keep on making home cooking and home dining easier for its patrons around the country.